Professional League of Legends players can now seek visas to find work with teams based in the United States. The United States government, generally more an expert in blaming videogames for the world's problems, has actually just done the medium a bit of a solid. 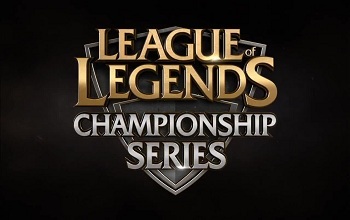 With eSports growing in popularity and prominence around the world, the U.S. State Department has now recognized the League of Legends Championship Series as being a professional sport. Far from being symbolic, the legal recognition makes it possible for players living outside of American soil to obtain work visas to come and play for teams in the United States. "This is a watershed moment," said Dustin Beck, vice president of eSports at Riot games. "It validates eSports as a sport. Now we have the same designation as the NBA or NHL or other professional sports leagues. This opens the gates for other professional League of Legends players to make the transfer to U.S. teams. It's like David Beckham coming to LA Galaxy." Riot Games was behind the request that led to the new status. "It was a long process. We had to get endorsements from participants and prove that this is a consistent, viable career path and people can make a living playing games." The legal recognition has already been of help to some players. Danny "Shiphtur" Le, recently joined Team Coast and, because of the upgraded status, is now eligible to move from his home in Canada to the United States to work with his teammates. While it's clearly nice to see the government being helpful in this situation, its cooperation comes with an undeniable growth in interested viewers. "Our viewership numbers are stronger than 80 or 90 percent of the sports covered on ESPN. In Shanghai [All-Star event in May, 2013] we had 18 million unique viewers. We are seeing growth over growth for every subsequent event that we do."